Use survey questions to learn about your prospects and generate leads. The marketing survey mailer is one of the best kept secrets of marketing. While many companies use surveys for market research to gain general insight into a market, we use them for lead generation. 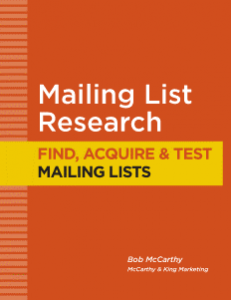 Specifically, we use the survey mailer to generate leads, qualify leads, update a database, re-activate old leads or lapsed customers, and cross-sell or up-sell existing customers. We have found that many people – including many of your prospects – are willing to answer questions and share their opinions if you ask. Every sales organization has access to multiple sources of demographic information about their prospect database. But demographics information can only take you so far. The survey mailer allows you to dig deeper into that database – by drilling down into the actual needs, goals, infrastructure and buying process of your prospects. And the only way to do that is to ask. With most direct mail, your readers only scan through the text and headlines looking for information. They don’t actually read every word – sad as that may be. But with a survey mailer, your readers must read the questions very carefully – word for work – before they can answer them. This gives you a unique opportunity to deliver key selling point to your readers. The survey is usually pre-addressed and then positioned to show through a window envelope. By pre-addressing the survey, you ensure that all surveys come back with contact information. 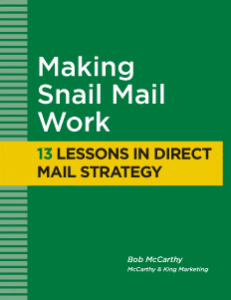 Most of the responses you get from a survey mailer will come through the mail – in a business reply envelope. But some people might prefer to complete the survey online. It always a good idea to provide an online version. When you create your marketing survey, be sure to keep the questions simple. Multiple choice is best. Don’t ask for lengthy responses and don’t ask for private information. The length of your survey is always a concern. Too long and you lose people. Too short and you don’t get enough information. Balance this carefully. We always offer a small gift (called premiums) for completing and returning the survey. Usually it’s just a $10 coffee card (or something similar), but depending on your audience, you could get more generous. I’d be reluctant to make it too generous though. It’s supposed to be a small token of appreciation for taking the time to complete the survey. 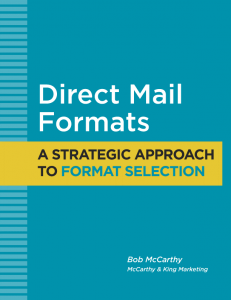 One of the most common mistakes people make with the letter in a survey mailer is that they use the letter to try to sell the company and its products. This may be a natural impulse, but it puts the survey on the back burner and turns the survey into just another response device. I say this a mistake because the goal of this mailer is to get people to complete the survey – not to sell the company. You’ll have plenty of time to sell your company and products after they respond. Let me put this another way: don’t let the letter distract the reader from the real goal – which is to fill out the survey. Because the message is very simple and almost obvious – “we value your industry knowledge and experience, and would appreciate your feedback” – you could go without a letter and just incorporate this message into the survey. I’ve done it both ways. 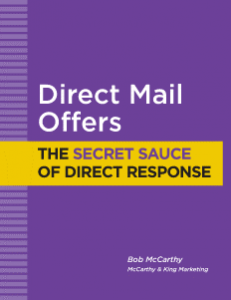 There is no way to predict response, but we have seen some of our highest response rates from survey mailers. What you need to understand though is that the responses you get are not necessarily leads and certainly not ready-to-buy leads. Many people answer the questions simply because you asked (and because you promised a gift) – not because they had any interest in what you sell. But if you ask the right questions, the answers you get will help you determine if they are likely to buy from you (or someone else) down the road. 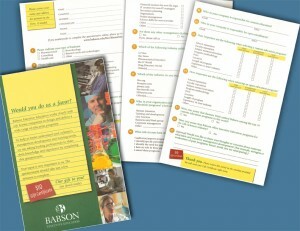 We can help you create and execute your survey mailer campaign. We also provide our creative services (copywriting and graphic design) to those who prefer to manage their own campaigns. If want to handle everything yourself, but would still like our guidance, we provide coaching services on a project or monthly basis.